Welcome your guests in style and comfort with the Lauren reception lobby chairs selection. This modular, contemporary style reception furniture series can be set up to fit a wide range of reception lobby interiors. Fully upholstered with wooden legs, all pieces feature attached seat and back cushions for maximum comfort and aesthetics. High density foam cushions provide firm support and long-term resiliency, and the durable no-sag springs stand up to daily wear and tear. With a full choice of beautiful upholstery materials and vinyls, these reception lobby chairs will add a touch of sophistication to any waiting area. 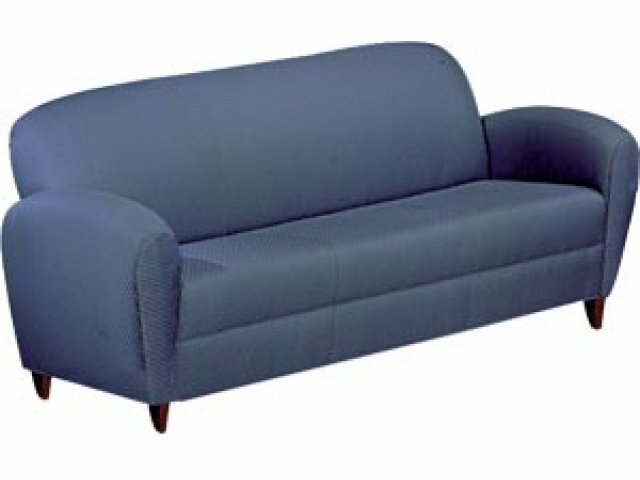 No Loose Cushions: All seat and back cushions are attached - no loose cushions to slide around. No-Sag Springs: Extra durable springs won't sag and cause furniture to wear out. Extra Firm: High-density foam cushions are super-firm for extra support and extended resiliency. Fully Modular: All pieces of this series come separately, so you can find the right combination that is tailor-made to your needs. 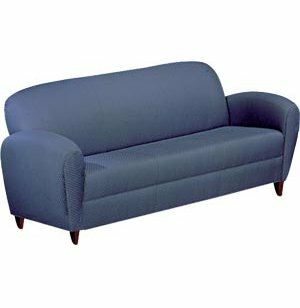 Wide Color Choice: Material and vinyl upholsteries are available in a stunning range of colors, allowing these furniture pieces to blend in smoothly with any current decor.